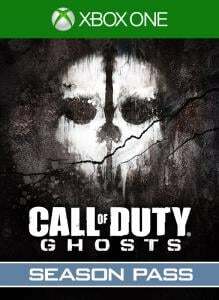 Buy the Call of Duty®: Ghosts Digital Hardened Edition and enhance your multiplayer experience with a digital download of Call of Duty: Ghosts and an assortment of bonus digital content, including: • Call of Duty®: Ghosts Season Pass: Get four epic DLC Map Packs*, each delivering a collection of fresh Call of Duty: Ghosts multiplayer content. Plus, you'll receive the Team Leader digital content pack, a Season Pass-bonus that includes a unique MP character head, weapon camo, reticle, player patch, player card and player background, playable in-game upon purchase. • Digital Hardened Edition In-Game Item Pack: Stand out from the crowd with a unique in-game player patch, player card & player background, a collection of content only available in the Digital Hardened Edition. • Ghosts Insignia Pack: Show your enemies what you stand for with an in-game Ghosts insignia player patch, player card & player background. The downloadable version of this game supports English, French, Spanish, Portuguese. 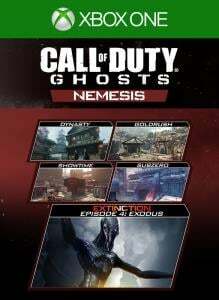 NEMESIS - the 4th DLC pack for Call of Duty®: Ghosts GOLDRUSH - Abandoned gold mine. SUBZERO - Snowbound Canadian submarine. DYNASTY - Chinese lakeside village surrounded by mountains. SHOWTIME - Remake of "Shipment" from Call of Duty® 4: Modern Warfare®. Re-imagined as a futuristic death arena. EXTINCTION - EXODUS: Your team must try to evacuate key personnel to a low orbit space station as earth becomes overrun by Cryptids. 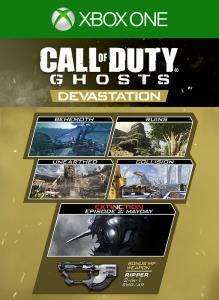 Devastation: Ruins - A mountaintop Mayan ruin Behemoth - A massive excavation vehicle Collision - The mangled remains of cargo ship Unearthed - A map inspired by Dome from MW3 The Ripper - An all-new tactical 2-in-1 weapon that can switch from SMG to AR on the fly. Extinction Episode 2: Mayday – Your team investigates an abandoned ship. 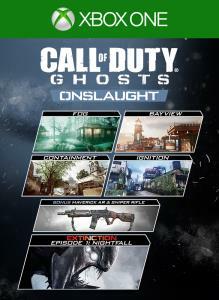 Welcome to Call of Duty®: Ghosts Onslaught, the first downloadable content pack for Call of Duty®: Ghosts, featuring four unique Multiplayer Maps, an all-new dual purpose Assault Rifle/Sniper Rifle, and the first installment in Extinction’s four-part episodic narrative. 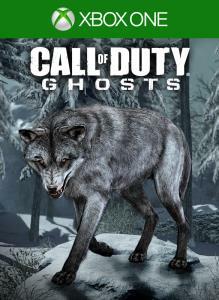 Transform your Guard Dog into a menacing Wolf in Call of Duty®: Ghosts multiplayer. With this character skin, every time you use the Guard Dog Killstreak in multiplayer, you will be calling in The Wolf to watch your back and take out enemy players. 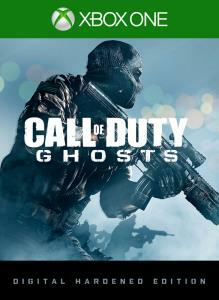 Call of Duty®: Ghosts Season Pass includes 4 Map Packs in 2014 at one great price* and unlocks the bonus Team Leader Digital Pack at game launch. Purchase by 5/31/2014 for Xbox One Season Pass Guarantee. Once available, download content from the in-game store, not from Xbox Live Marketplace, to avoid extra charges. 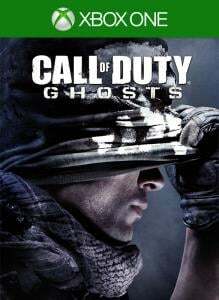 Xbox360 Season Pass requires Xbox360 Call of Duty: Ghosts game and Xbox One Season Pass requires Xbox One game; sold separately. *Save vs buying 4 map packs ala carte. 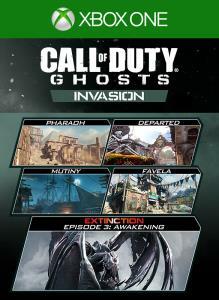 Invasion - the third DLC Pack for Call of Duty®: Ghosts. DEPARTED - Medium map in a Mexican town PHARAOH - Set in an archeological site of an Egyptian palace MUTINY - Set in a cove on a Caribbean island. FAVELA - A refreshed version of MW2 map. Extinction – Episode 3: Awakening - Descend into the perilous depths of an alien underworld. 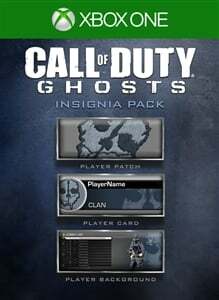 The Call of Duty®: Ghosts - Insignia Pack includes a unique player patch, player card and player background for use in Call of Duty: Ghosts Multiplayer. 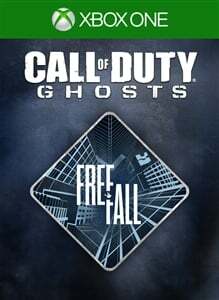 The brand-new Call of Duty: Ghosts' multiplayer map Free Fall drops you into a shattered skyscraper on the brink of collapse. Sideways staircases climb into the night sky, elevator shafts run along the ground, and what were once windows now form a terrifying glass floor, hundreds of feet above the city streets. 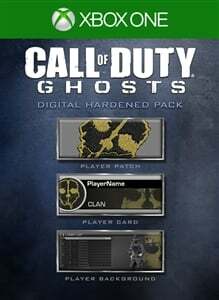 The Call of Duty®: Ghosts - Digital Hardened Edition Pack includes a unique player patch and player card for use in Call of Duty: Ghosts Multiplayer. Buy the Call of Duty®: Ghosts Digital Hardened Edition and enhance your multiplayer experience with an assortment of bonus digital content, including a digital download of Call of Duty: Ghosts and the Call of Duty: Ghosts Season Pass. Plus receive additional bonus in-game DLC, including the Digital Hardened Edition In-Game Item Pack – a collection of content only available in the Digital Hardened Edition.